The new Alliance of American Football starts this weekend so if you liked to watch and wager on football, there is no need for a break after the Super Bowl. First, get caught up with the rules in our quick guide to betting on the Alliance of American Football. Now let’s focus on the game and look at the Atlanta Legends vs. Orlando Apollos predictions for the first game. 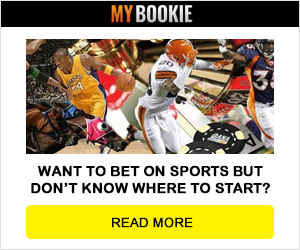 Bet on the Atlanta Legends vs. Orlando Apollos at MyBookie and get a special bonus for all first time players betting on football! Get your bonus now! It’s a new league so many think that making Atlanta Legends vs. Orlando Apollos predictions will be difficult, but here goes nothing. Steve Spurrier coaches the Apollos, but it’s nice to see that his team has Garrett Gilbert at quarterback. More noticeable is that they have 26 players on this team that played college football in Florida. The focus in Atlanta is that Mike Vick is calling the shots on offense. That is not enough reason for me to back the dog here. 73 year-old Spurrier gets back in the win column with a double digit win for Orlando.